You are currently browsing the tag archive for the ‘susan chang’ tag. Hold on to your hats! The NPR holiday cookbook roundup, my go-to guide for the overlooked gems, rightfully-hyped showstoppers, and perfect steals of the cookbook world is now out! …and now, it’s on to THE SHORTLIST. Also, Three Terrific Series Worth Exploring More Deeply. The Food and Cooking Of… series from Anness Publishing. Beautifully photographed, slightly hard-to-find introductions to far-flung cuisines. This year’s The Food and Cooking of Scandinavia is particularly lovely. The New Voices in Food series from Globe Pequot. Understated paperbacks featuring up-and-coming young chefs. You might walk right past them if you weren’t particularly looking for them, but some of the recipes are gems. The Savor the South series from UNC Press. Terrific idea, ingredient-focused, attractively and affordably produced. The first two are Pecans and Buttermilk. And don’t forget some of the wonderful cookbooks we loved this past summer, especially: Asian Tofu, The Fresh and Green Table, Herbivoracious, The Fresh Egg, and The United States of Pie. Finally, as always, for cooks who love a good food story, there’s my own A Spoonful of Promises: Recipes & Stories from a Well-Tempered Table. No, it’s not summer any more. But one summer souvenir that will be coming right along with me into the fall and winter is the summer roll. 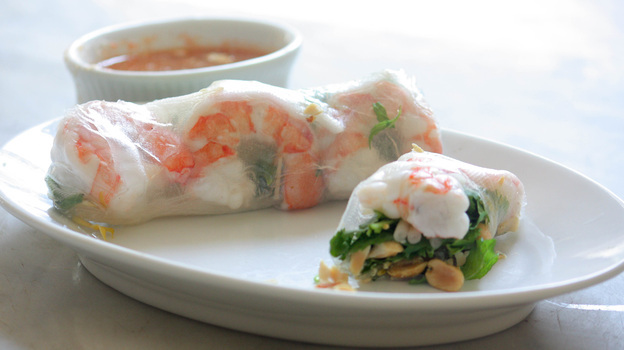 Or, more specifically, the re-invented sandwich wrapped in rice paper. After being unaccountably bashful about rice paper for years, I finally took the plunge and discovered what a boon it is for those of us who fall somewhere in between wanting to take the bread off the sandwich and just giving up and having a salad. Plus, they’re way easy to pack in a lunchbox. 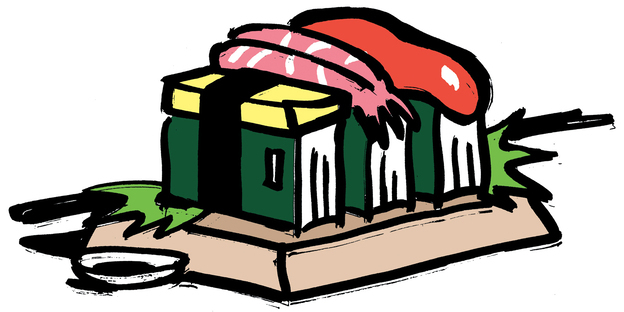 Read A Roll for All Seasons at NPR’s Kitchen Window here. in fact, I may never have a chance to review this book officially, as mega-author Suzanne Collins is an old friend of my husband’s…conflict of interest alert! With all those caveats out of the way, I have to say that the Unofficial Hunger Games Cookbook is a pleasant surprise. The headnotes and intro are sharp and clearly written by an avid fan. There’s a sprinkling of insightful literary analysis regarding the role of food in totalitarian culture, and a dash of food-symbolism commentary. Each recipe notes which chapter and book it references, which gives you an excuse to go get your copy and get sucked back in. And the recipes? Well, they’re a mix of indulgent Capitol food and subsistence District food, as you’d expect. Some recipes merely fill out a sketchy reference in the book with a conventional recipe; these tend to be fairly pedestrian: Hot and Crispy Hash Browns, French Bread from the Mellark Family Bakery, Parcel Day Applesauce. If the headnotes didn’t explain their origin in the books, these recipes would offer nothing you couldn’t find on the Internet or in mainstream cookbooks. Their association with the Hunger Games is purely conceptual. On the other hand, some recipes clearly wouldn’t exist without the trilogy’s explicit mention: Grilled Tree Rat with Peanut Butter Dipping Sauce, Rue and Katniss’s Stir-Fried Milkweed Buds, Flowers, and Pods, and the Apple-Smoked Groosling, which is actually turkey. How seriously are we to take the Unofficial Hunger Games Cookbook? Good question. Well, don’t look for any tips on skinning tree rat. And any ingredient list that starts with “1 (6 pound) beaver, cut into pieces” seems to me to be assuming a lot. 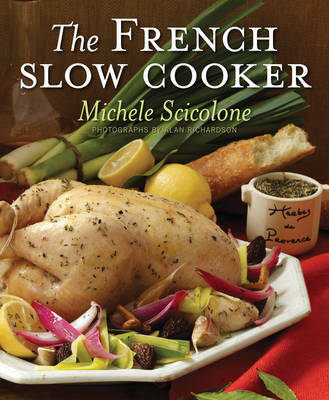 A final question: How faithful does a tie-in cookbook have to be, anyway? The Hunger Games trilogy is the act of a bold imagination, and I don’t see why this unofficial companion shouldn’t be as well. Indeed, the most jarring thing about the cookbook is the same as what’s jarring about the books and the film: the sense that true human misery (hunger, warfare, brutality) can at some level always become a source of entertainment. As consumers of The Hunger Games and its merchandise, we may be uncomfortably aware of that fact. But it doesn’t diminish our appetite. 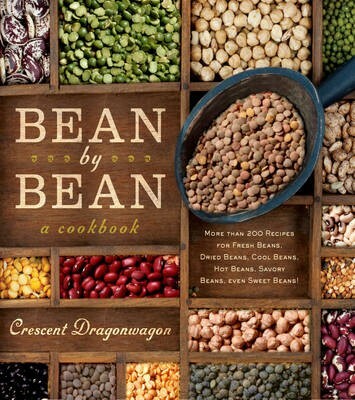 Something odd is going on in cookbook merchandising, and I’m trying to understand it. We’re all familiar with the explosion of food websites and food blogs in the last 10 years and their inevitable transition into print. From Heidi Swanson and the Tipsy Baker to Food52 and Serious Eats, there’s an abundance of popular online hosts or communities who’ve turned author, and there are more every day. Many, like Ree Drummond (the “Pioneer Woman Cooks”) and Fifi O’Neill (the “Romantic Prairie” magazine) sell a DIY kind of lifestyle that their readers don’t necessarily have the time or life circumstances to undertake themselves. It’s not the first time that cooks who are also talented photographers and stylists have taken off in print. It’s certainly not the first time a domestic-shelter editor has successfully sold a lifestyle (see “Stewart, Martha”.) So that’s not what’s odd. What I don’t quite get is that if you look at these recipes closely, something doesn’t add up. 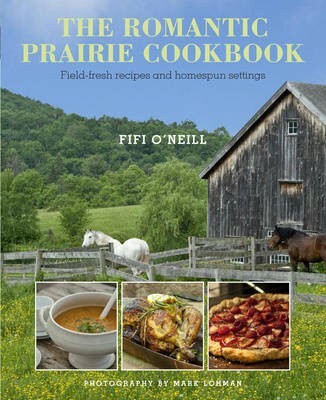 Consider the Romantic Prairie Cookbook (by an expatriated Parisian living in Florida). Grilled chicken with mandarin oranges? No mandarin oranges on the prairie, unless I’m mistaken. There are sausages and breads in the recipes, but they’re mostly storebought. Recipes for salmon, mussels, fish in a salt crust? Exactly where is this prairie? And is it near Balducci’s? 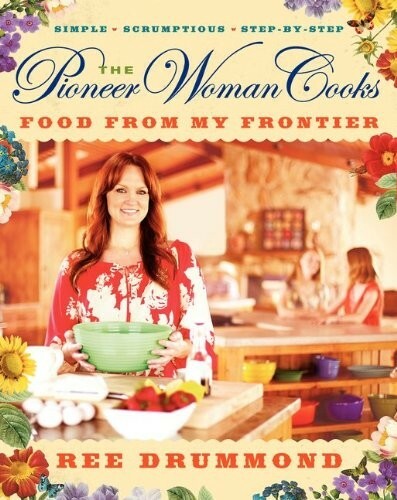 The new Pioneer Woman Cookbook: Food from My Frontier makes me wonder, in the same sort of way, which frontier we’re dealing with: Italian meatball soup? Thai chicken pizza? Chicken Parmesan? Mango margaritas? It’s true that there is a recipe for pickles and a recipe for jam in the back. But the language of sustainability, self-reliance, and rugged wholesomeness conveyed by the photographs is not spoken equally by the food. I’m not wearing my reviewer hat, and I don’t mean to denigrate the food itself, which I haven’t tested and which looks perfectly fine. No matter where it hails from (and I think it’s safe to say it’s not from Kansas), it’s straight-ahead comfort food, like what you might find in hundreds of midrange urban brunch places. Some may find themselves asking, “Why make it when I can buy it in Brooklyn?” I’m not sure I can answer that. But my guess is that it’s not the cookbook’s content but its aura that you’re buying–that glimpse of a life not lived by most of us–a life of pale sunrises, endless horizons, quiet insights silhouetted on horseback. Question is: is that life even being lived by those who sell it? Today, a review of a fascinating oddity billing itself as “the re-envisioning of the modern cookbook.” By turns brilliant, offputting, and just plain different, the two-volume set seems designed to turn heads and invite commentary. All that said, testing the book’s one recipe–the “Julian” cocktail-was one of the stranger, better dates Randy and I have had in some weeks. new Kitchen Window story: escarole! A little rumination about my absolute favorite bitter green. 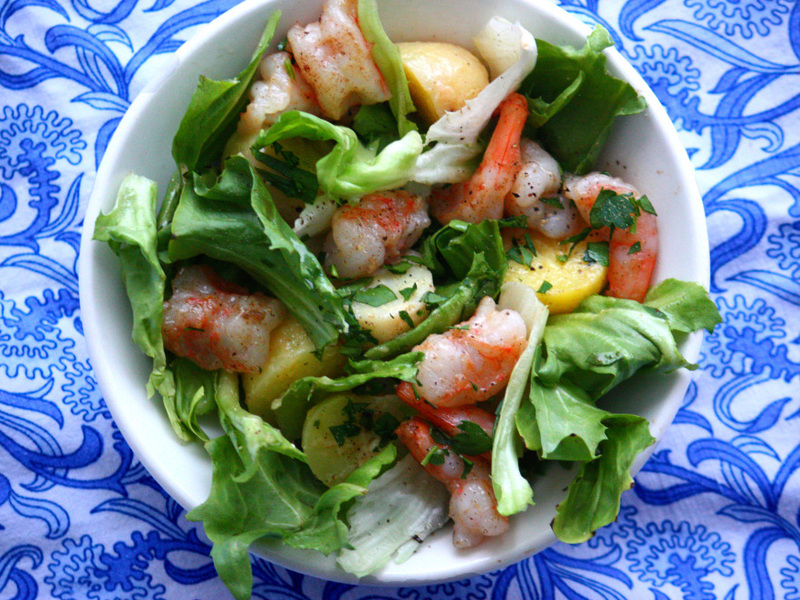 The best part about writing the story was discovering this outrageously good shrimp, escarole, and potato salad from Jacques Pépin. I could have eaten it for a week. But the recipes for escarole & bean soup and escarole & butternut pasta are great too.